R 4229 including 90 R shipping. After all those rumors and leaks, the Apple iPhone 7 is officially here. Apple is not really good at keeping secrets so we have already learned about some of the features. 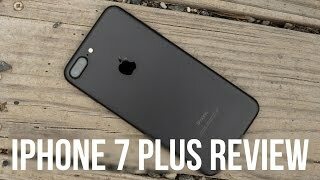 However, there are some interesting features that the rumor mill failed to get and we are going to learn all about those right here including the Apple iPhone 7 South Africa price and specs. There is no change in screen size so we get the same 4.7-inch LED backlit IPS LCD display. There were rumors about Apple planning to switch to 2K resolution but users get the same 1334 x 750 pixels resolution in this one. However, this time its water and dust resistance like the Samsung Galaxy Note 7 and Samsung Galaxy S7 as its IP67 certified. The antenna bands are now placed at the top end of each part at the back of the phone and it’s not even visible in the black versions. There is no change in the shape of the phone but it’s slightly lighter than the iPhone 6S. The camera bump is still there which might be annoying for some users. Users get stereo speakers for the first time in iPhone. 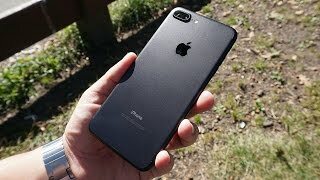 If you are planning to wait for the iPhone 7 release date South Africa, those two new colors are called matte-finish Black and Jet Black. However, there won’t be any Space Gray this time. For those who are looking for a change megapixel-wise, they will be greeted with the same 12-megapixel rear camera. According to Apple, this 12-megapixel single lens rear camera comes with f/1.8 and offers better low light performance now thanks to the new image signal processor that comes built in with the new A10 Fusion chip. The flash is not the same either and is now a quad-LED flash. There is Optical Image Stabilization as well which was missing in the iPhone 6S and was only a feature of the iPhone 6S Plus. The front camera has been also improved and is now a 7-megapixel one with f/2.2 and supports capturing 1080p videos at 30fps. A major feature that can be a deal breaker for a lot of people is the battery life. Apple has claimed that the new battery should give iPhone 7 users two more hours thanks to the new four-core designed A10 Fusion chip. As the rumors suggested earlier, there won’t be any 3.5mm headphone jack in the phone. However, there will be a 3.5mm headphone adapter to take care of things if you are not interested to go all lightning port just yet. The built-in storage options has been changed to 32GB, 128GB and 256GB which means no 16GB built-in storage option. 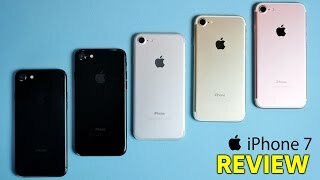 As the new iPhone is here, the price of the older iPhones including iPhone 6 and iPhone 6 Plus will slightly decrease which means you can check these phones out without waiting for the iPhone 7 release date South Africa. The iPhone 7 will cost the same as its predecessor which means the starting price will be around 8500 R when it’s here. 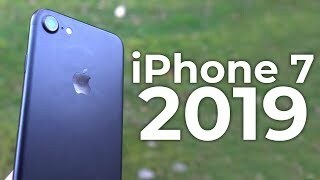 If you are satisfied with the iPhone 7 South Africa price, you don’t have to wait for too long as the iPhone 7 release date South Africa is expected sometimes after September 16, 2016. 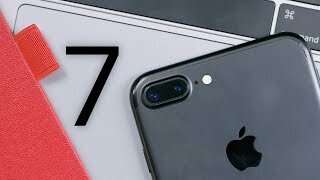 Apple products are not so popular when it comes to its price tag so let’s take a look at the iPhone 7 South Africa price before we get to the details. Nothing has been officially confirmed by Apple about the upcoming iPhone yet, but it’s safe to say that the smartphone is going to cost quite a lot. The starting price of the iPhone 7 is expected to be around 8500 R when it’s here. Now let’s see if it’s worth waiting for the iPhone 7 release date South Africa. Do remember that none of these information has been officially announced yet so take them with a grain of salt. While the screen size is expected to remain the same, it’s the design of the upcoming iPhone that will change. We didn’t see any major change in the iPhone 6 and iPhone 6S design-wise so it will be exciting to see what the new design looks like. Judging from Apple’s history, it’s highly unlikely that the company will change the screen size. To make the smartphone thinner, the upcoming iPhone may not feature a full 3.5mm headphone jack. Apple has recently replaced their good old 8-megapixel camera with a 12-megapixel one and they intend to keep it that way for now. However, there will be definitely some tweaks and improvement to look forward to. The battery life of the iPhone 6S was quite disappointing which will be slightly improved as well. One of the major expected changes is the boost in processor. According to one of the latest reports, the iPhone 7 is expected to pack a hexa-core processor with 2GB of RAM. Other notable features are: 3D Touch, wireless charger, dual camera and Touch ID. There is also the Samsung Galaxy S6 Edge and LG V10 that you can check out. 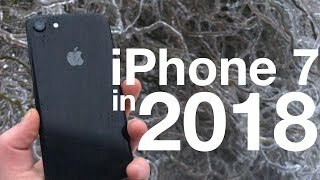 If you are satisfied with the iPhone 7 South Africa price, you can expect to see the smartphone earlier before September, 2016. 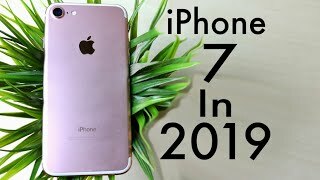 The iphone 7 Mobile Phone is manufactured by Apple and was added around November 2016 and is part of the Apple iPhone 7 series. This version of the Mobile Phone comes in Color : Gold , Capacity : 256 GB , Band : 3G , Display Size : 4.7 Inch , Sim Cards Slots : Single Sim , Special Features : Touch Screen , Special Features : External Memory Card , Special Features : NFC , Device RAM : 3 GB. The model comes in 18 other variations including combination of 3G Band , 32 GB, 128 GB, 256 GB Capacity , Silver, Rose Gold, Gold, Black, Jet Black Color , 3 GB, 2 GB Device RAM , 4.7 Inch Display Size , Single Sim Cards Slots , Touch Screen, External Memory Card, NFC Special Features. 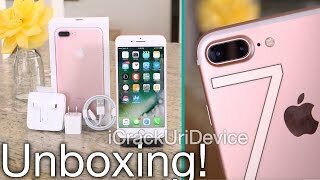 The best price for the Apple iPhone 7 in South Africa is R 12799 sold at Excellular and available with free shipping and delivery within 1-4 Business days. Price has decreased 15% from R 15000 on 2016-11-03 to R 12799 today.